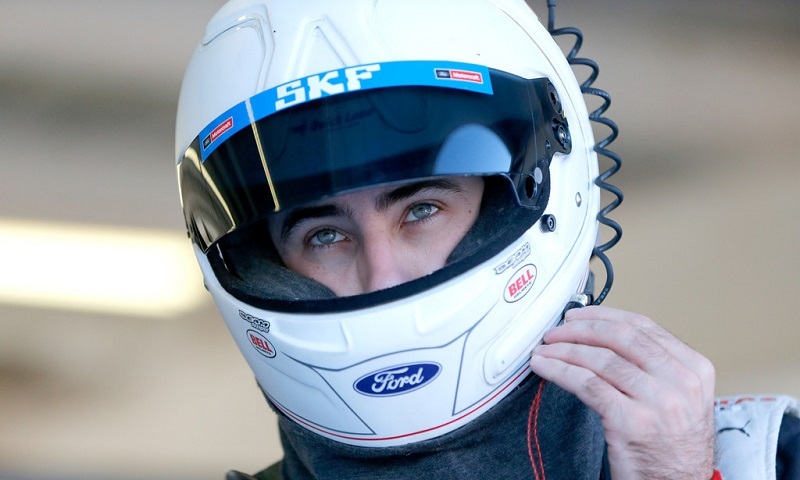 Ryan Blaney completed a sweep of the first two stages of Saturday’s Ticket Galaxy 200 at Phoenix Raceway, dominating every competitive lap of the second stint en route to his sixth stage win of the year. 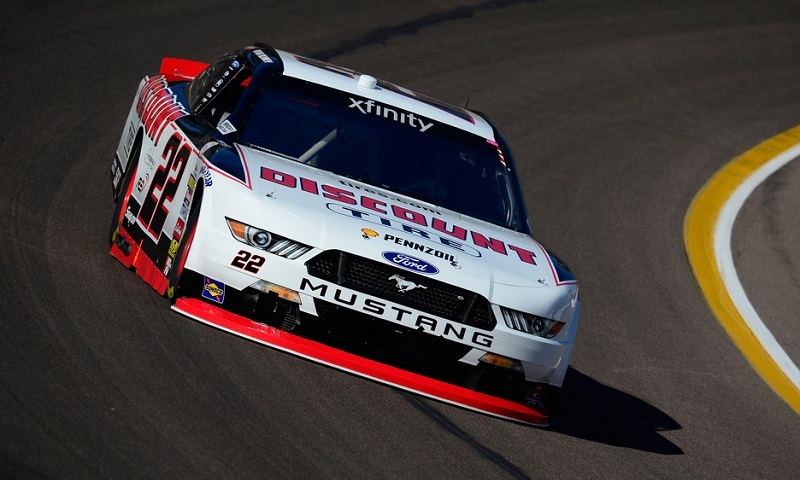 Ryan Blaney came on strong during the second-half of the first stage in Saturday’s Ticket Galaxy 200 at Phoenix Raceway, pulling away to notch his fifth NASCAR XFINITY Series stage win of the year. 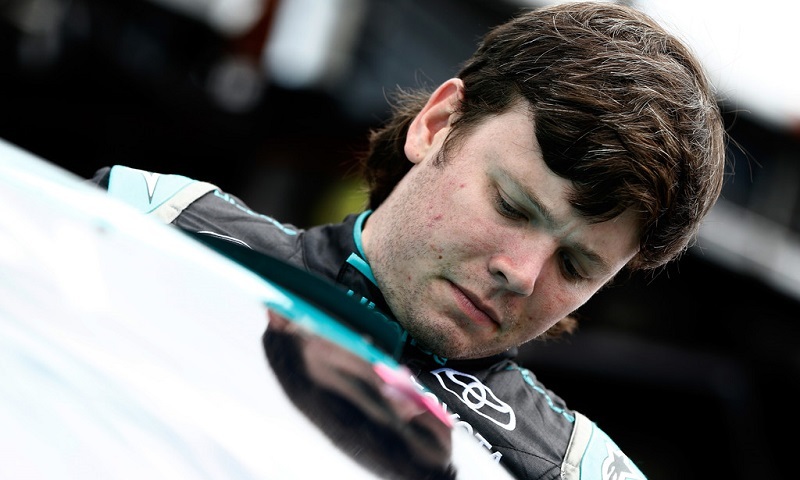 Just as he is every weekend at the race track, Blake Koch was all smiles following Saturday night’s Ticket Galaxy 200 at Phoenix Int’l Raceway, the penultimate race of the NASCAR XFINITY Series season and the last elimination race before the championship finale next weekend. 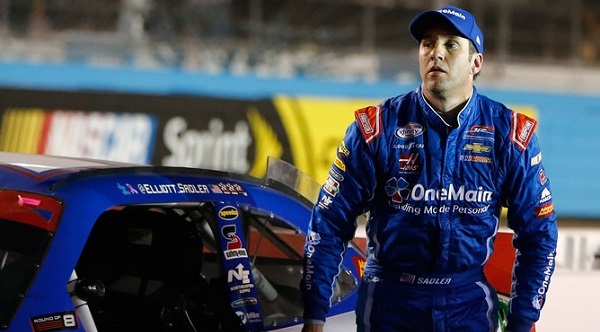 Despite having two lug nuts that were “unsecure” by the NASCAR Rulebook following Saturday night’s Ticket Galaxy 200 at Phoenix Int’l Raceway, NASCAR officials have confirmed that Elliott Sadler will be a part of the Championship 4 next weekend in Miami, Fla.
Saturday marked yet another win for Kyle Busch, both in the NASCAR XFINITY Series and at Phoenix Int’l Raceway, as he dominated the desert oval to win the Ticket Galaxy 200. 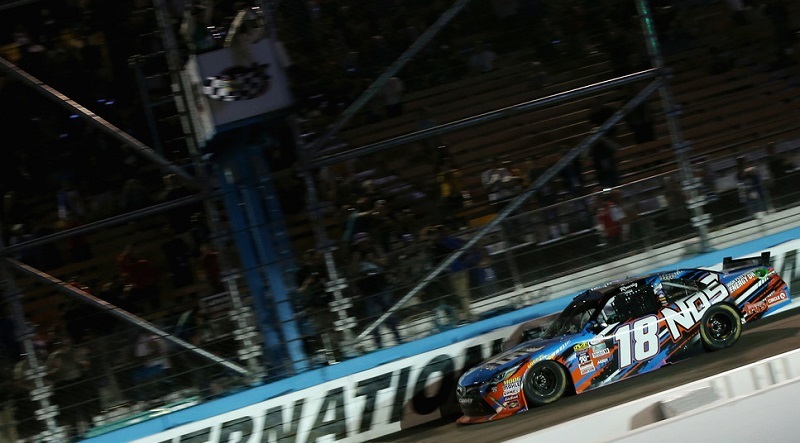 Kyle Busch stormed to the pole position for the NASCAR XFINITY Series Ticket Galaxy 200 at Phoenix Int’l Raceway during Coors Light Pole Qualifying on Saturday afternoon. 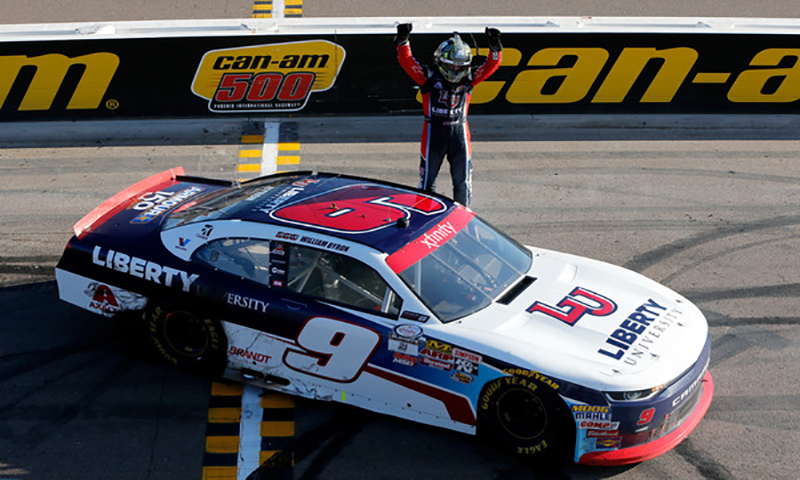 Phoenix International Raceway President Bryan R. Sperber announced Ticket Galaxy as the title sponsor of the track’s upcoming November NASCAR XFINITY Series race and as PIR’s official secondary market ticket provider. 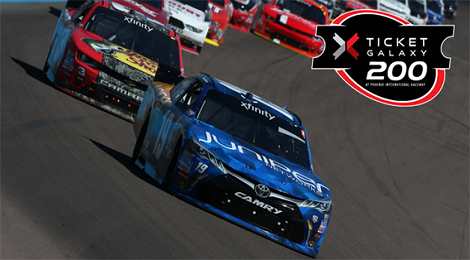 NASCAR XFINITY Series driver Daniel Suárez and Ticket Galaxy President Steve Kobelski joined Sperber for the announcement at the Hard Rock Café in Downtown Phoenix on Tuesday. 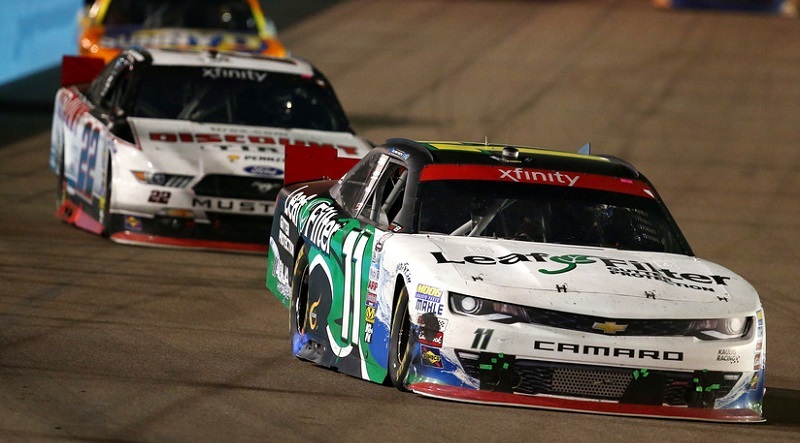 The Ticket Galaxy 200 will serve as the semifinal race in the Chase for NASCAR XFINITY Series title Saturday, Nov. 12.